Bloggers have many options to monetize their blog. After writing reviews about Adversal, Infolinks, Bidvertiser, Propeller Ads, Revenue Hits , I have come up with Chitika Ad reviews. In this article, I will give you an overview of Chitika which is one of the popular alternative ad networks to AdSense. Chitika is a primary non-contextual advertising company. The best thing about Chitika is, it has a low minimum payout threshold. If you are a newbie blogger and have a blog with less traffic, Chitika is going to be one of those premium ad networks which will show quality relevant ads. If you have a high-quality blog, you can earn a great income from Chitika. Chitika Ad Reviews – A Scam or Legit? The first question that comes to mind while trying to use any method to monetize the blog is – Is it Scam or Legit? Chitika is a 100% legit company. Chitika is one of the oldest companies in online advertising space. It was founded in 2003. One of my friends is already earning a handsome amount from Chitika and he always gets paid on time. So it is not a scam but a legit company. Now I have also tried Chitika and about to reach the threshold soon. I will share my payment proof soon. Also Read: ShareASale Review – Why Is it Best Affiliate Marketing Program? There are no minimum criteria to join Chitika. Any newbie blogger or blog having less amount of traffic can also apply for Chitika and can get it approved easily. Joining with Chitika is easy as publishers and advertisers from all countries are accepted and there are no restrictions as to the minimum impressions of the site. They do not take much time to approve the account. Once you are approved, all you need to do is create ad zone and place the code on your blog. If you are not so tech-savvy and using WordPress, you can use their WordPress plugin to show Chitika ads on your blog. 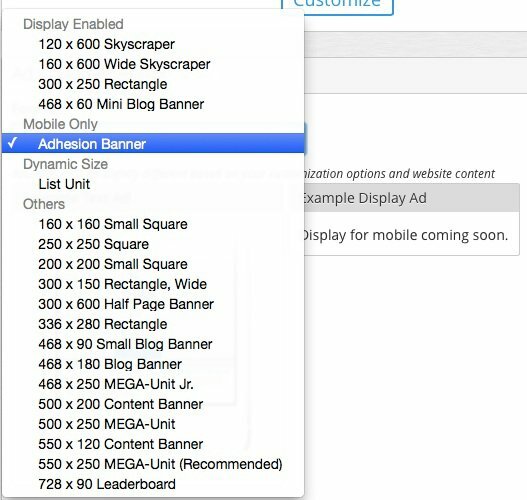 Banner ads — They are standard Ad type. Chitika does not show banner ad but they show images with text. Mobile ads – These days, a huge amount of traffic comes from Smartphones or mobiles. It is mandatory to provide ads that can be easily viewable in the mobile version without degrading the design or performance. Chitika stands by you in this case. These ads are displayed only if your website is viewed on the mobile device. The ads are displayed depending on the device, not the site. This means if a user browses your website using mobile device ads will show up. You do not have to create a mobile site for this. Entire mobile traffic of your website will get monetized. In text ads — Chitika is CPC (Cost Per Click) based on text link ads. You may also have heard about In-Text advertising network such as Infolinks etc. Hover ads — Hover ads are displayed in the bottom right corner of your website. They remain at that place while the visitor is scrolling down your website. Highlight ads — Highlight ads get displayed when a user selects some text on your website. It will get displayed below the user selected text area. Creating ads and customizing is very easy. After selecting your preferred ad size you can click on get the code to get the ad codes. You can embed that code to your blog to show ads. (As of March 2017) Chitika’s payment method to cash out your revenue is Payoneer. Your account needs to accumulate the minimum amount of $50 before payment is sent. Payments are processed on a ‘Net 30’ schedule. The good news here is – Chitika is compatible with Google Adsense. You do not have to make any changes to your Adsense layout nor to Chitika ads to make them work together. They are compatible out of the box. In fact, it is claimed that using Chitika along with Adsense increases earnings. Also Read: Genesis Framework Review – 10 Reasons Why You Should Buy This Right Now? 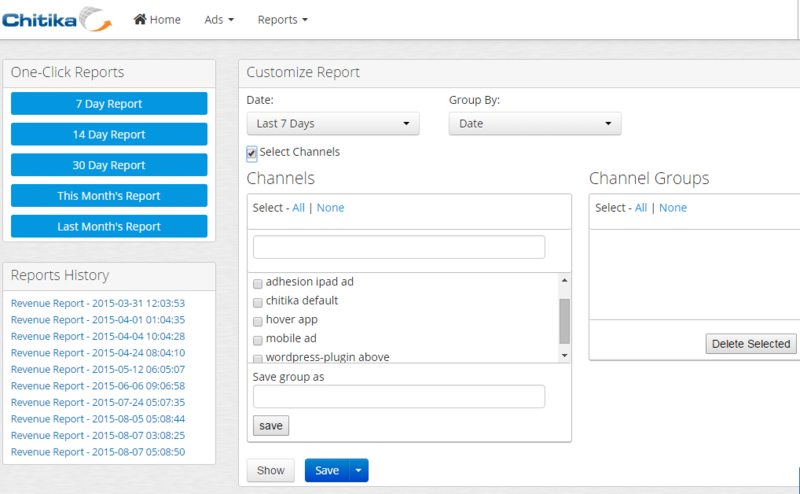 Chitika provides a simple and easy platform for publishers to use it. Below snapshot includes the report section provided by Chitika. You can view and even save reports for whatever period you want (7 days, 14 days, 30 days, This Month, Last Month, Custom date). You can uncheck ‘Show Channels’ if you just want to view your earnings. Suitable for all the niche type. Different Ads options including mobile types. Shows ad mostly on traffic from search engine. Less PPC in comparison to AdSense. Traffic from referrals are not targeted very well and ads are displayed based on your main keyword or title. I will be trying Chitika very much. Thank you for the review. Now I want to work with Chitika. Chitika has now introduced Payoneer method. Paypal is only payment method of Chitika? Or there are other methods too? Why my Chitika ads shows like google ads? hey bro! thanks for such article! Thank you very much for the valuable post. hey! thanks for such article! i would like to know if media,net is a scam or not?